A clear and fascinating introduction to the history of the English language from its prehistoric origins to the present day. Numerous short passages - including the English of King Alfred, Chaucer, Shakespeare, and Addison - are used to illustrate the state of the English language in different periods and contexts. The English Language: A Historical Introduction covers the history of the English language from its prehistoric Indo-European origins to the present day. 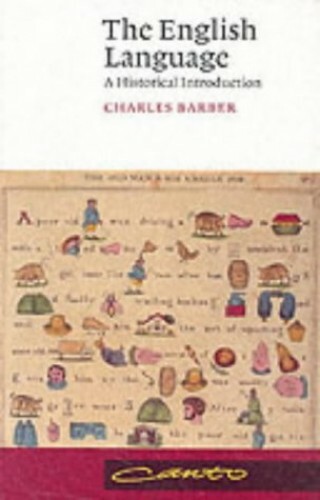 Assuming no previous knowledge of the subject, Charles Barber describes the nature of language and language change, and presents a history of the English language at different periods, dealing with key topics such as grammar, pronunciation and semantics. Where necessary, he introduces and explains the main theoretical and technical concepts of historical linguistics. There are also chapters on English in the scientific age, English as a world language and the future of the language. Charles Barber uses dozens of familiar texts, including the English of King Alfred, Chaucer, Shakespeare, and Addison, to illustrate the state of the English language through time in a range of contexts. This is a fascinating book for anyone with an interest in language.